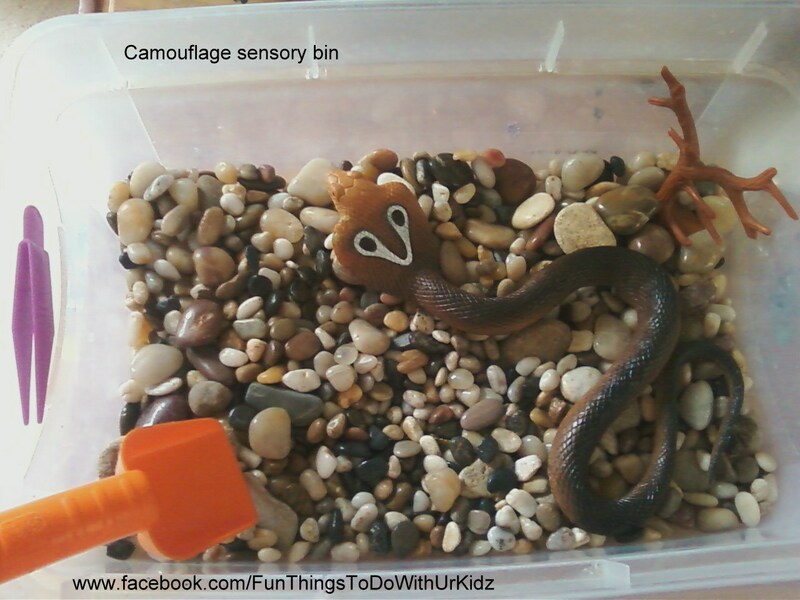 Great for not only sensory play but also for teaching kids about how some animals and reptiles keep themselves safe and also hunt. I hidden some snakes and lizards in and around the rocks and then added the fake tree and bigger snake. Before I let my daughter dig in I explained to her what it means when someone or something is camouflage and also told her besides the big snake there is many other animals in this box and seen if without touching it if she could find any. When she did not I let her dig in and find them while I explained why some animals use camouflage and to always watch out for animals that do. When she decided she was done playing I made sure to explain also that these are toy animals and she is never to grab or go near a real wild animal. That she is to respect nature!